Once upon a time… A little girl wished for the most enchanting Princess birthday party. Here are some of the coolest ideas to make her (and your) royal dream a celebration come true, including Princess invitations, decorations, printables, party food ideas, Princess activities and more. 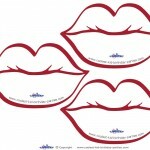 Use parchment paper or cardstock and write something like: “Hear Ye! Hear Ye! Her Majesty, Princess (kid’s name) of the Royal house of (your last name) requires your presence at the magical celebration of the (*th) year of her birth, at our castle (address); date, time, RSVP to Queen and King (phone #); gowns, crowns and castles too, nothing short of a royal celebration will do! !” (If you want the kids to come in matching attire you can add “attire” in the invitation, perhaps saying “Princess Casual” or “Princess and Prince attire” or “Royal attire”). You can also make the invitations look old and regal by printing or writing all the party information on yellow parchment paper. Then burn the edges just a bit and use a wet tea bag to spread around the edges to darken them and give a more authentic look. It would be best if you used a font that would fit with the Princess birthday party theme, like a calligraphy font or anything that looks royal. If you want to write the invitations with your own writing and not a computer font, you can use a gold or silver pen or thin marker. Then roll these invitations up and either tie them with a ribbon, put a sticker to close, or if you want to really be regal, seal them with wax. You can put the scrolls in empty toilet paper rolls with a sealed bottom, and add a construction paper cone to the top as if it were part of a castle. For an added touch, you can spray-paint each toilet paper roll with silver and/or gold spray-paint. If you don’t want to roll the invitations up, you can put each invitation in a colored envelope and you then decorate the envelope. You can add dabs of glue and sprinkle glitter, or decorate with Princess-themed stickers and/or glue on sequins all around the envelope. If you really want to go overboard with your Princess birthday party invitations, have someone (possibly a family member or even the birthday child themselves) dress up in majestic or medieval looking attire and have them hand-deliver each invitation. They can even try and talk with majestic slang or with a suitable accent. We’ve created this complete page full of free and original printable Princess birthday party invitations, thank-yous, and greeting cards. All you have to do is just download and print out. You can also use Princess posters, coloring pages, and all sorts of other imagery to help you create your own homemade decorations. The dominant colors of your Princess birthday party can be any combination from the following colors: lavender, pink, purple, white, cream-color, light blue, light yellow, gold or silver (it’s best to choose a two or three color-combination). First, you can start with a red carpet leading to your door. This’ll really let the kids feel special. From the ceiling you can hang glittery stars from curly ribbons and colorful streamers. You can also hang these Metallic Foil Curtains in the doorway so the kids will feel like they are entering a ballroom. And, upon arrival, you can throw some sparkle glitter on the guests to get them in the mood. You can have a sign at the entrance of the party area saying “Welcome to the Princess Castle”, “Welcome to the Enchanted Kingdom”, etc. 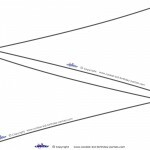 You can also take these flags and staple them (tip facing downwards) on a long string. Then you have a long string with lots of flags you can hang around to decorate the party area with. If you’re really ambitious with your Princess birthday party, you can make a castle using huge cardboard boxes (two big refrigderater boxes for the two turrets on both sides of the castle and one or two huge wide boxes for the middle part of the castle). You can spray paint it gray and cut out windows. You can also make a small drawbridge and connect homemade torches to both side (you can make the torches with towel tubes and red, orange, and yellow crepe paper, twist the top of the bunched crepe paper, and have it coming out of the top of the towel tubes). For that final touch you can put a flag on a stick to the top of each turret. Print out or make homemade family crests for a medieval feel. Here are some excellent items to decorate your castle with. The kids can play in the castle and decorate it at the Princess birthday party. You can also use the big cardboard boxes, paint gray bricks on them and tape to the front of your house (so that it looks like the outside walls of your house are made of bricks). If you have a backyard and a sandbox or little playground, how about making the sandbox and/or playground look like a castle, the slide as a drawbridge, the sandbox as a ward, a small mini pool as a moat, etc. Another idea that can make your Princess birthday party area super special and very fit for your Princess is to create a canopy. You can take tulle and/or fabric, pin the middle to the center of the ceiling, drape the ends down and tie to the sides of the room. On each of the placecards you can write each guest’s name by adding “Princess” or “Prince” before their name (for example: “Princess Jenny”). If the Princess birthday party is at night, you can line the pathway to your house with brown lunch bags half filled with sand and with a candle inside of each. The bags glow magnificently once you light the candles (make sure you put the candle in the middle of the sand so that it doesn’t get close to burning the paper). For an added magical touch, you can decorate with white Christmas lights. Inside, you can drape colorful plastic table covers all over the ceiling to transform your living room into a charming ballroom. In the bathroom on the mirror, you can write with a washable marker “Mirror, Mirror on the wall, who’s the prettiest of them all?”. Music can add a whole lot of atmosphere and mood to your child’s Princess birthday party. You can either play a CD of music from Cinderella, Snow White, Under The Sea (Ariel the Mermaid), or even classical music like Tchaikovsky’s Nutcracker Suite, Swan Lake, Sleeping Beauty Suite, etc. You can transform your dining room chairs into Princess birthday party thrones by taping gold and silver poster board onto them. Also take pink, purple, and/or white ribbon and wrap around each chair. Hang helium balloons on each of the chairs and add gold or silver tulle or ribbon around the top of each chair. You can also add a pink, purple, or white pillow with ribbon to each chair for that added touch. Have your child’s chair be the main throne – it can be decorated with an extra Princess birthday party touch so that everyone knows it’s the birthday girl’s throne. Your little Princess can sit on her throne when she’s opening her presents. Take the hearts and stars decoration, cut them out (it’s not a must to cut them out), tie string to the top of them and hang around the Princess birthday party area. You can hang with string or curling ribbon from ceiling fans, railways, etc. Spread balloons all over your floor and if you use helium then have them decorate the ceiling. Put jewelry, earrings, bracelets, necklaces and all sorts of other royal gifts inside the balloons so that later when the kids pop them they’ll find lots of surprises. Disperse any Princess toys or dolls your child might have all around the party area. You can tie a helium balloon to each or tie around with ribbon and they can also serve as table centerpieces. It could be cute to have a frog (either a picture of a frog or a stuffed animal), with a little sign right by saying “Kiss Me”. On the day of the Princess birthday party, you can buy fresh flowers and place them in vases around the house and on tables. Upon arrival, the girls can be given Princess halos made of wire confetti with pink or purple ribbon wrapped around them. Or, you can prepare Princess hats out of plane cone party hats with pink and purple tulle coming out through the top. To the bottom you can glue colored lace with plastic rhinestones. You can also hand out beautiful boas in different Princess colors. And what’s a little Princess without a wand? You can make wands from skewer sticks with the tips cut off and cutout stars glued to one end. 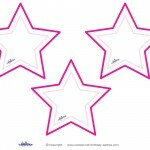 Here are free printable stars you can cut out and glue on to the sticks. Also check out this huge selection of Tiaras . For the boys you can make crowns out of gold poster board and shields and swords also cut out of poster board and covered in foil. On these you can put their names as follows “Sir/Prince _______”. All of the family members can get dressed up in medieval attire. Someone can be the Queen, and someone can be the King with a robe and crown. You can have a jester (even better if you know someone who can juggle!). If it’s an all-girl party, you can have everyone arrive straight to the Princess birthday party beauty salon. You can have a large mirror standing or hanging on a wall, add lots of lighting, and each arriving guest can get a touch of blush, shiny lip-gloss, and braids in her hair to help her transform into a Princess. You can also have a fingernail painting station you can offer a couple of different colors for the kids to choose from and suitable stickers or glitter to jazz up the activity (allow plenty of time to let their nails dry…). 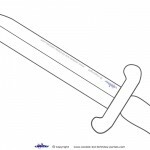 A great ice-breaker for all parties are Princess coloring pages! You set a table with markers, crayons, or anything else the kids can paint with and let everyone color in Princess coloring pages until all the guests arrive. We’ve created a whole page full of free and original printable Princess coloring pages, check them out! You can take lots of hard small cardboard boxes, spray-paint them with gold or silver spray-paint, and give each guest a treasure box right when they arrive. They can then decorate the box with sequins, jewels, plastic diamonds, etc. At the end of the party each guest’s treasure box can be their favorbox, you can put all of their party favors in their treasure boxes. For the sake of simplicity, you can have the girls create their own tasty edible necklaces out of licorice string, fruit loops, cheerios, and gummy lifesavers. You can make a royal wand making station. Have small wooden dowels out and print out these free printable stars. The children can decorate the stars and wooden dowels using markers, glitter, glue, sequins and several strands of satin ribbon. You can also spray-paint the dowels with silver or gold spray paint so that they are more royal-looking. If you also have boys at the Princess birthday party they can decorate royal shields and swords. 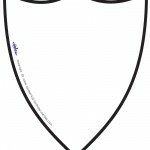 You can print out these free royal shield-shapes and knight’s sword. 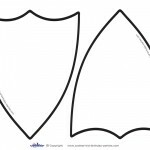 Once you’ve printed them out, you can put the shapes on foam or cardboard, and cut the foam or cardboard using the shield and sword shapes. You can then spray-paint them with bronze, silver, or gold spray paint, and at the party the kids can decorate them by sticking jewels and using markers. Take popsicle sticks and glue to cardboard with a few rhinestones, glitter, sequins etc, and insert a picture of each child in their costume (using a Polaroid or digital camera). This is a great favor to take home. You can have the kids make their own little Princess birthday party castles. Take baby food jars clean them well and remove the label. You can give the kids colored papers to glue and decorate the outside of the jar. They can paint the lid with silver acrylic paint and glitter and glue on the top a silver Hershey’s Kisses with their ‘flags’ waving (this then looks like a little castle). They can add more Hershey’s kisses in the jar and take it home as part of their Princess birthday party favors. Here’s a super-simple Princess crown cake. Just bake a round cake, then put sugar cones on top and inverted all around the edge to form the crown. You can then use frosting to attach little candies to decorate the crown cake. You can also easily transform a plain cupcake into a Princess birthday party treat! Just cut out small Princess images and tape or glue onto toothpicks. Once dry, you can put a toothpick with a Princess image in each cupcake or decorate a whole cake. If you’re going for cupcakes, you can take all of them and place them in a heart shape on the table. If you have boys at the Princess birthday party, you can make ‘Sword in the Stone’ cupcakes. Frost each cupcake with gray frosting, then take tinfoil, bend into sword shapes, and put each sword into each gray cupcake to look like the ‘Sword in the Stone’. Another lovely dessert you can create before the party is to scoop strawberry or vanilla ice cream into cupcake holders, decorate a little Princess face (a small smile with thin licorice, red circles for cheeks, and two little candy eyes). You can then put them in the fridge and when it’s dessert time, take them out, put whip cream around the ice-cream ball for hair, and last but not least – an upside-down ice cream cone as a Princess hat! Take a look at all the coolest homemade Princess Theme birthday cakes. If your whole party has that medieval royal atmosphere, you can decide on having a 5-course royal banquet (just like at a royal ball), as well as practicing table manners. You can announce or put small decorated signs right by each dish just to make sure everyone understands that they’re eating food fit for kings and queens! Medieval Feast – this could be chicken and turkey legs with potatoes and gravy. Cinderella Pumpkin Dip – If your child loves Cinderella, you can hollow out a small pumpkin and fill in with a desired dip. Then cut up all kinds of vegetables (celery, carrots, broccoli, cherry tomatoes, etc.) and let the guests dip the vegetables in the Cinderalla dip. Belle’s Garden – an array of steamed vegetables. All kinds of breads and a platter of meats or cheeses. Heart and Star Pizza: If you have patience, you can make or order pizza, and then cut out the pepparoni into star and heart shapes (you can stack the pepparoni’s on top of eachother and cut with a cookie cutter, or with a knife). If your making homemade pizzas, you can cut the dough into these shapes! Princess Yogurt and Granola – In a plastic champagne glass put a layer of yogurt, granola, and fresh fruit. Repeat layers once or twice in each cup. You can then top with crushed biscuits and fresh-cut strawberries. Strawberry Princess Milkshake – this is simple, just put strawberries in a blender with milk, yummy! 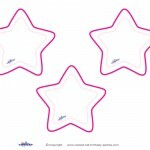 We have created these printable and foldable Princess birthday party favor bags and favor boxes. They are blank and so the kids can decorate and fold them themselves. You can also print them out on different-colored paper, possibly the color/s of your child’s Princess birthday party colors. In the favor pack you can put all kinds of bracelets, a Princess Wand, jewels, Butterfly Rings, a Princess Jewel Ring, hair accessories, Princess Headbands, ring-pops, a Mini Princess Gumball Machine, chocolate hearts, all kinds of Crowns, little snowglobes, a Light-up Tiara, body glitter, Princess Stickers, Princess Tattoos, a Princess Necklace, bubbles, Heart-shaped Sunglasses, chocolate coins, a Princess Photo Holder, stick-on earrings, Princess Pez Dispensers, a Mini Tiara Comb, Princess Blow-outs, and a whole lot of other cool Princess birthday party items. During the Princess birthday party you can take a picture of each guest in their Royal attire with the birthday girl and then send these pics out with the thank-you notes. On the thank-you notes you can write something like “Thank you for coming to (child’s name) birthday, we hope you had a ball!”.